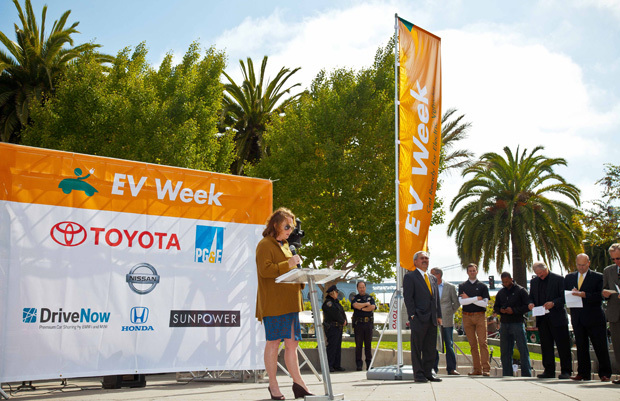 With Mayor Ed Lee officially proclaiming the City’s first-ever EV Week this September 17, 2012, San Francisco is well on its way towards becoming the most electric vehicle (EV) friendly city in America. 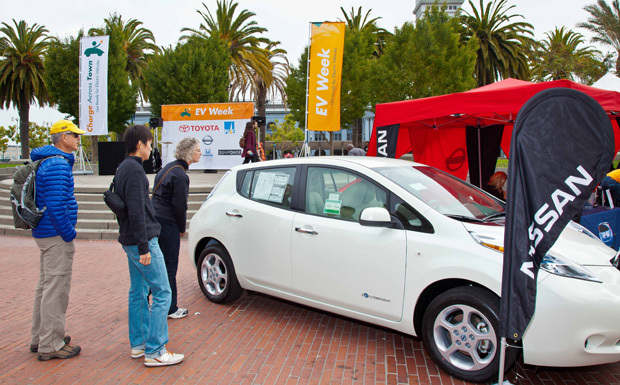 Thousands visited the EV Expo on Justin Herman Plaza over two days to check out the latest from major car manufacturers and car sharing companies, EV charging solutions, including clean energy EV charging. Between 300-400 people got behind the wheel of an electric vehicle for a ride and drive, showing off their “EV Grins” after experiencing the power and handle of an EV. 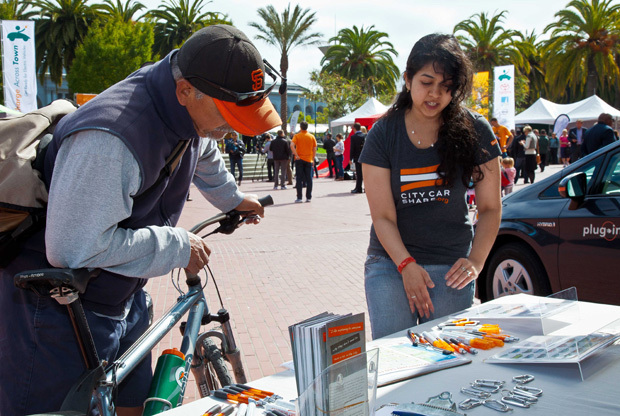 Organized by Charge Across Town, a collaborative campaign between city government, local businesses and the electric vehicle community, EV Week was an important event to support the growth of the EV infrastructure in San Francisco inspiring people to move to fuel cell and electric vehicles. 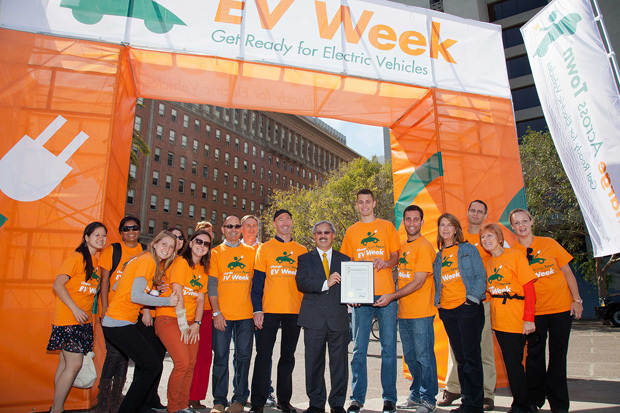 Mayor Ed Lee officially proclaimed San Francisco’s first-ever EV Week. 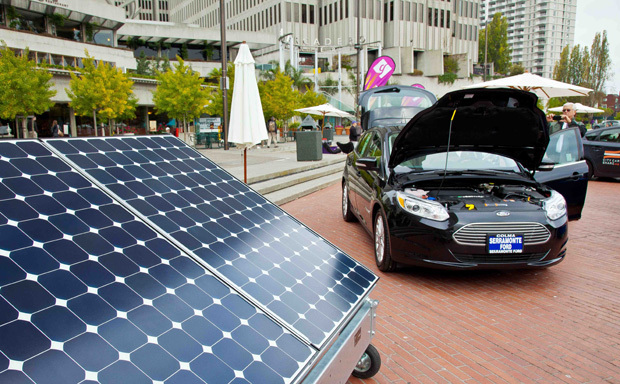 EV Expo on Justin Herman Plaza featured 10 Electric and Plug-In Hybrid vehicles and solar and EV charging solutions. 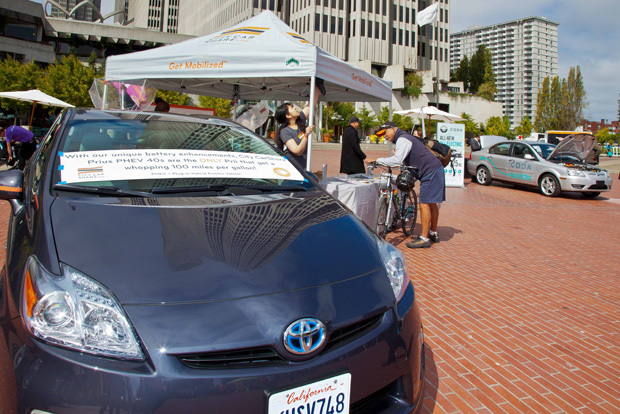 Between 300-400 people participated in “Ride and Drives” in 14 electric and plug-in electric vehicles. 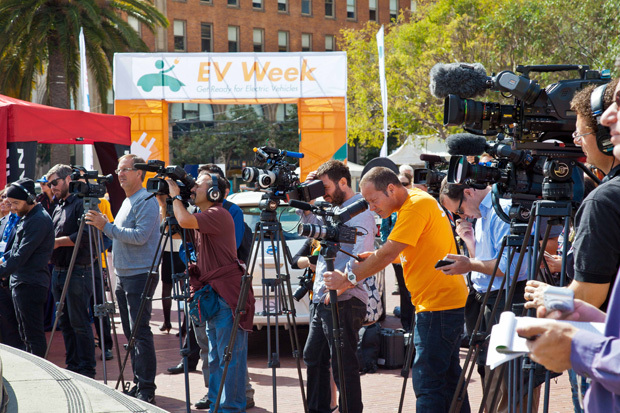 Thousands of people walked through the EV Expo over two days. 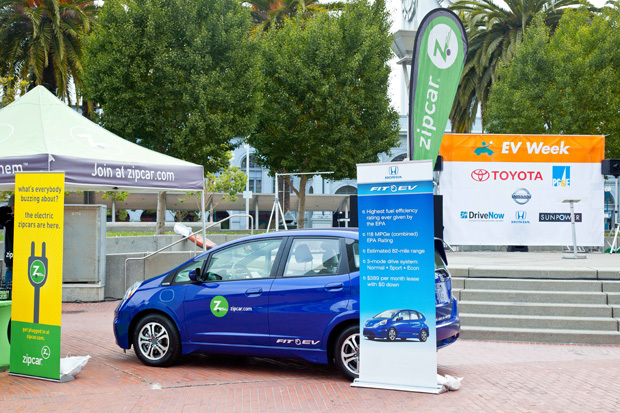 110 Public EV Charging Stations installed in San Francisco, including 4 new public chargers at AT&T Ballpark.